TECHNICAL DETAILS: Built in WordPress using a customised theme and various plugins for additional functionality. Original photography and videos created for site content. 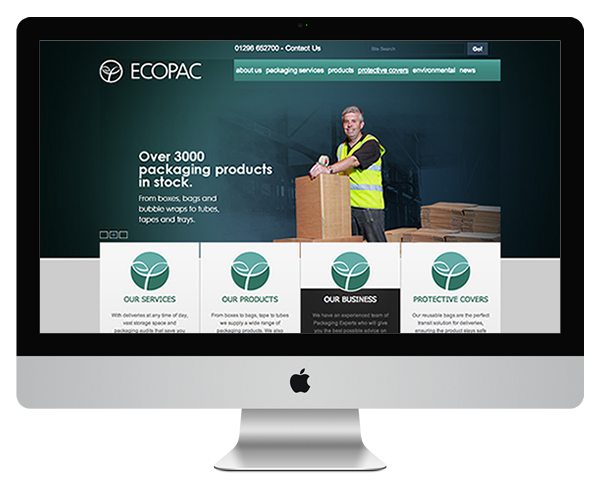 Ecopac’s website needed to give them a unique voice in the market as well as show off their range of packaging and fulfilment services. They are a small team with a hands on approach so we designed a website that bought their people to the forefront. We worked with local photographers on fantastic photography of the team and videos of products in use. Paired with strong quotes that show off their skills & approach to business they now have a stand out website that works as hard as they do. The CMS allows staff to update product information, staff profiles, contact details and add news to the blog – something they were keen on to keep the site looking fresh and up to date. Ecopac is a home counties based packaging and fulfilment services supplier. They’ve also developed a range of reusable eco-friendly packaging for easy handling of bulky goods.